Florida Keith Gives Us an Additional Update on Pinellas Park Courts!! Florida Keith Speaks: Thanks Stan Bober. That was very thoughtful of you to update Stan McCormack regarding our Pinellas Park Senior Center courts. The new embedded bead courts have greatly enhanced the facility. The courts are faster and much more uniform in speed. Not only do we need to adjust to the speed, we’ve noticed how by shooting slower, the drifts are more accentuated. The take-away is that we all become better players. Visitors from around the District and State will be far more comfortable playing on these faster courts. I want to share one more thought about the Pinellas Park Senior Center. Last summer the Center’s 16 courts got a new roof, lighting and fans. This year the parking capacity was increased by converting the side street to angled parking. As always the Staff is friendly and helpful; maintaining and disbursing the discs, chalk, erasures and running play for 3 games three times a week. 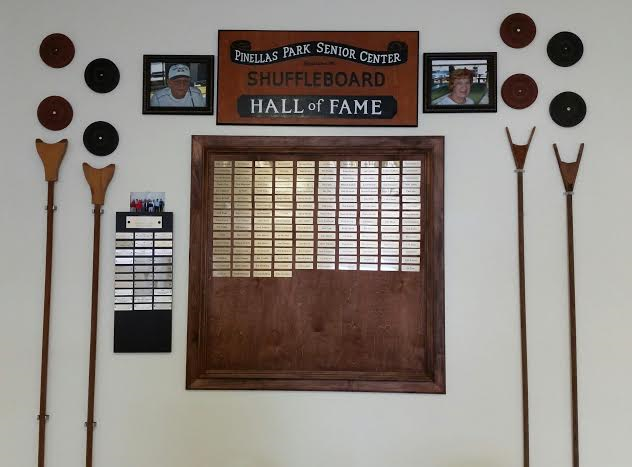 The Pinellas Park Senior Center is again improved and still a wonderful place to meet and play.